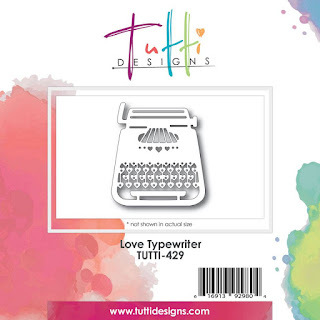 Tutti Designs: You're just my type! Good Monday morning, Tutti friends! 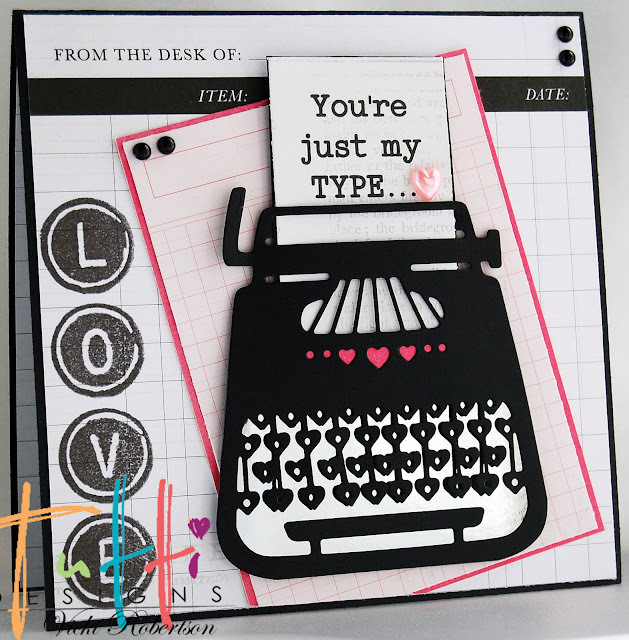 Vicki here...sharing some fun inspiration using the Love Typewriter from the December 2017 release at Tutti Designs. Stop back often...you'll find daily inspiration from the Tutti Design Team year round! With Valentine's Day just around the corner, I am ramping up the "love" card making for family members. The grandkids are always waiting for that special card to arrive. The typewriter die was perfect for the sentiment that I created on my computer. I cut the paper the correct width and inserted it under the spool. Next, I added dark pink behind the three center hearts above the keyboard and silver metallic paper behind it. 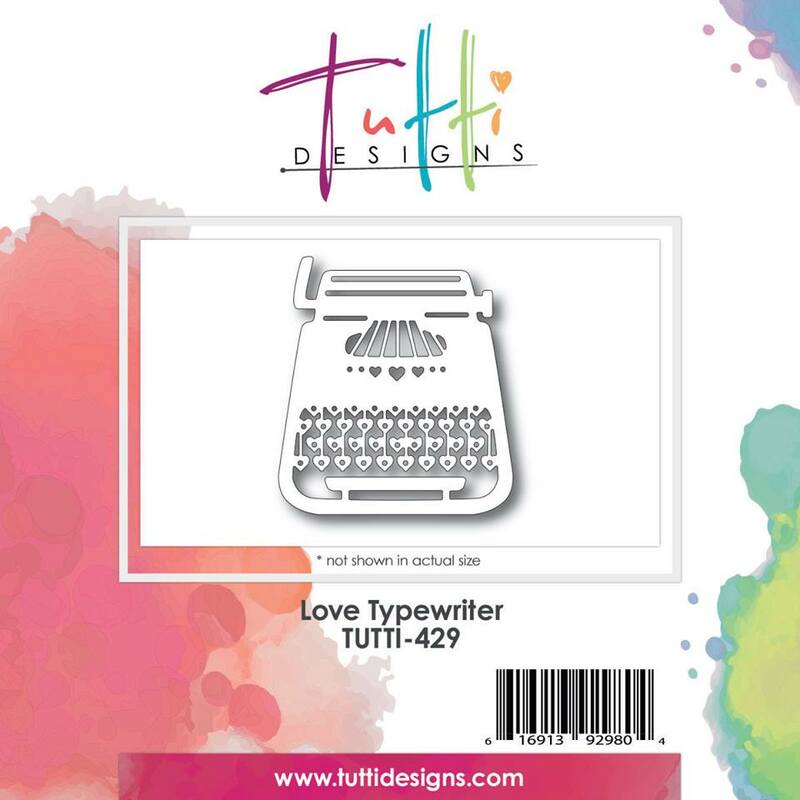 I have a typewriter key stamp set in my stash from years ago and used it to add the word LOVE down the side of my card. A pink heart and a few black pearls complete this CAS card. What a super, fun die cut! You will need to add this to your stash, for sure. Thanks for stopping by to share my recent inspiration for Tutti Designs! WOW this is awesome Vicki! Love the type print down the side and how you 'inserted' your message into the typewriter ... 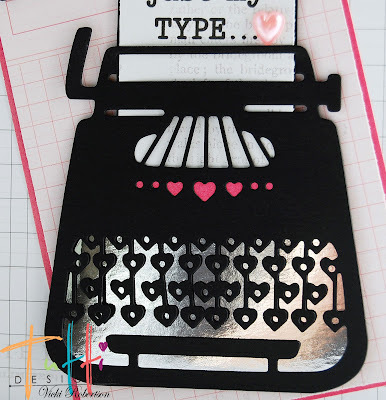 FANTASTIC and fabulous inspiration using this die! Another fantastic card, love that die, and you made it look even better, way to go!